Is tracking by IP likely to stir up a hornets' nest? Google has revealed plans to track users' IP addresses in order to provide more relevant local information in the search results. In what could prove to be a controversial move, Google revealed on its official blog that it would 'become more local' by matching the user to a 'broad geographical location'. 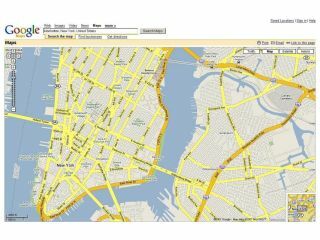 "If you specify your location in your query, we often show your results on a map. But we've noticed that much of the time users make simpler searches, like restaurants or dentist," says the blog. "We like to make search as easy as we can, so we've just finished the worldwide rollout of local search results on a map, which will now appear even when you don't type in a location. "When you search on Google, we will guess where you are and show results near you." Google will track location through IP addresses, or a user-set location setting, although the controversy over Google's Latitude, which located a user far more accurately, would suggest many people would prefer not to be tracked at all. "How do we guess your location? In most cases, we match your IP address to a broad geographical location," adds the blog. "You can also specify your likely location using the "Change location" link on the top right corner, above the map. "We try to make our guesses as good as they can be... you can just say what you want, and we'll try to find it right where you are." In truth, tracking someone by their IP address is neither new or particularly accurate. Advertisers often serve local specific adverts, including the omnipresent 'someone from x is waiting to speak to you' pop-ups that use IP location to make the advert more specific. However, it remains to be seen if there will be a furore over Google using that information in its search engine.